Frog Pond | Just Shooting Memories! One of my favorite restaurants in Panama City Beach Florida is Pompanos. Other than the food, the setting is fabulous. It sits overlooking a small pond that is covered in lily pads. 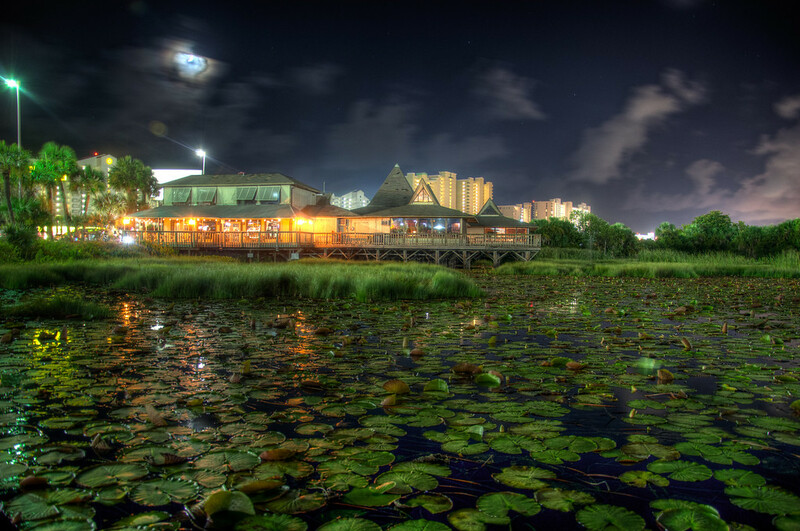 I stopped one night took a couple shots looking across the pond to Pompanos.